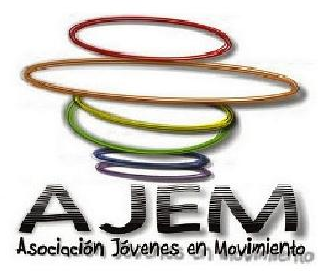 Asociación Jóvenes en Movimiento started in 2007 as an initiative of a group of young people interested in developing activities with contribute to solving the problems and fulfilling the needs young LGBT people in Honduras. Alex Sorto became one of AJEMs volunteers committing himself to the defense and promotion of LGBT human rights and prevention of hiv/AIDS. “In Honduras, especially in the last two decades, the LGBT community has suffered from different types of violations of civil rights and social issues which affect different areas of our lives: limited access to health, education, employment, security and justice. Furthermore there is a tremendous lack of state protection”. Radio Diver-Gente is an online platform and radio station reaching out to the LGBT community nationwide. Both the website content and the radio shows are aimed at improving the quality of life for the LGBT community in Honduras by providing information on (LGBT) human rights and health promotion. Also online information will be given to strengthen human potential and encouraging LGBT youth to exercise their full rights as citizens. Radio Diver-Gente was lauched in the first half of 2013. So why did AJEM come up with Radio Diver-Gente? Sorto: “A lot of young people in Honduras are in denial about being gay and have serious problems regarding self-acceptance. We believe that an online platform will allow them to have access to helpful information in a confidential way. They don’t need to use their names or show their faces. Apart from providing online information, we will also organize socialization activities and supply them with promotional material”. “I strongly believe ‘Radio Diver-Gente’ will be successful. It’s the first online radio station in Honduras which deals with sexual diversity issues. And although the LGBT community is our main target we also hope to reach others as well, because I believe we, as a community, can benefit from that too”.